October is Breast Cancer Awareness Month, and breast cancer awareness is a cause that has always been near and dear to my heart. We’ve all been touched by cancer in one way or another. Breast Cancer is the most commonly diagnosed form of breast cancer in women, and a handful of the great women in my life have fought the battle. My grandmother died of breast cancer before I was born. I never had the chance to meet her, but we talked about her a lot growing up so I still felt like I knew her. My mom always tells me that I’m so much like her. I like to think that she’d be pretty excited about this crazy blog of mine :) . My Aunt battled breast cancer this year, and that was a tough pill to swallow. It doesn’t seem like the people who are the most loving and vibrant in our lives could ever be touched by something as vile as cancer. But, somehow, it happens anyway. Here’s a picture of my beautiful Aunt when she was nearing the end of her treatment. I’m so proud of her! Speaking of maintaining a healthy weight and eating well, did you know that Quinoa is actually considered one of the top 5 cancer-preventing foods? It’s really an amazing superfood that is high in protein and riboflavin, low calorie, gluten-free, and has a low glycemic index. Overall, it’s very nutrient dense and a great option for a nutritious and healthy life-style. I wanted to create a fun recipe to go along with this Breast Cancer Awareness post, and considering what a rockstar superfood quinoa is, I decided to make it the focal point of this dessert! A while back a sampled a Dark Chocolate Toasted Quinoa Chocolate Bar and was super impressed with it! It tastes very similar to a Crunch or Krackle Bar (made with puffed rice), but it’s so much better for you! 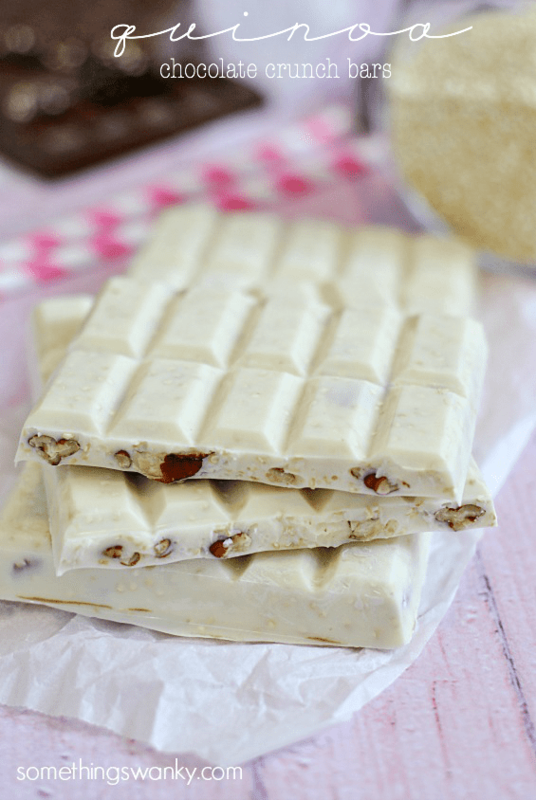 You can see I added some pecans to my white chocolate bars (which I surprisingly ended up liking over the chocolate bars! ), and I think these would taste great with a variety of added ingredients like nuts and dried fruit! With only two ingredients, these bars are really easy to make. And if you don’t have a chocolate mold– no problem! 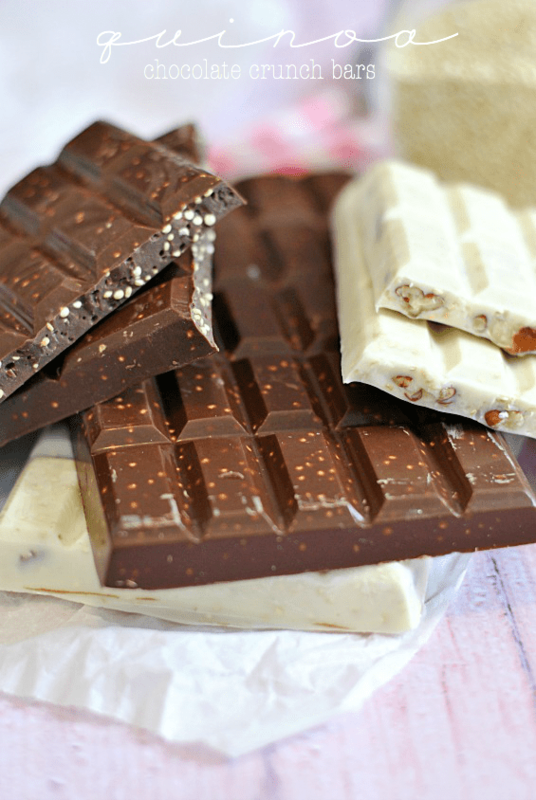 Spread the melted mixture on some wax paper and make a chocolate bark. It will taste just a great! Before I give you the recipe, I wanted to touch on one last aspect of Breast Cancer Awareness… support. Find a planned fundraiser near you! Take a moment today to hug the special women in your life (and maybe take them a quinoa chocolate bar :)! We may not be able to prevent or cure Breast Cancer yet, but there is a lot we can do to to detect it early, reduce our risk, and support those who have it or have loved ones with breast cancer! Place the quinoa on a small skillet over medium-high heat. Gently shake the skillet over the heat for 3-5 minutes. In this time, the quinoa should become fragrant and will puff ever-so-slightly (though you can't really see it). It may also darken in color just a bit. Remove from heat and set aside. In a medium bowl, heat the chocolate melting candy in the microwave for 1 minute. Stir until smooth. Mix in the toasted quinoa. Pour into a chocolate mold or spread on wax or parchment paper for cooling and hardening. You can refrigerate for speed cooling and hardening! I chose to use chocolate melting candy instead of pure chocolates, because they harden nicely and can be held without melting in your hands. However, if you take the time to temper a pure chocolate, you can certainly use that instead! My friend Dorothy and I decided to coordinate our posts today, and she has also posted a dessert recipe correlating to Breast Cancer Awareness! 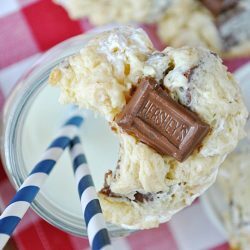 Be sure to hop on over to her site and check out these Toasted Coconut Rice Krispies Treats! Wow you made your own chocolate bars, impressive! I have used quinoa in brittle before but never paired it with chocolate! Genius idea!!! Love quinoa and so cool to use an a ‘crunch’ bar! And congrats to your aunt for being a survivor! I love the idea of pairing quinoa with chocolate- such an easy way to add power foods to your diet! I bet this would be great with dark chocolate. Awesome information Ashton – and great bars! Thanks for such a great post! My grandmother passed away from breast cancer when I was 15. I am sorry you didn’t get to meet your grandmother. What an awesome, yet simple idea. I love this! Love the recipe and what a great little reminder/post on breast cancer awareness. So much great info here that women need to know! My mom made it through too, but it definitely has me on high alert with it being so close in our family!!! 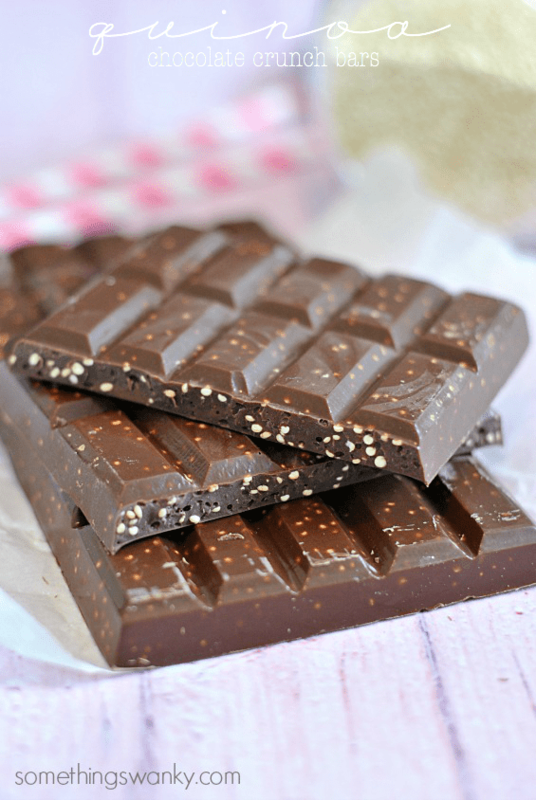 We have just started eating quinoa, so I love that you added it to a candy bar!! Fun! Ashton, thank you so much for sharing your experiences and drawing more awareness to such an important cause. And also, thank you for making a way for me to eat quinoa. This is def. the way! These look great. just wondering where you got those chocolate bar molds from. Your grandmother would 100% be proud of you and your incredible, mind-blowing blog Ashton. Your aunt is a strong woman! Thank you so much for this post. I have known a lot of women (mostly my friends’ mothers) who have not survived. But there IS hope. I love crunch bars. They’re a simple delight. 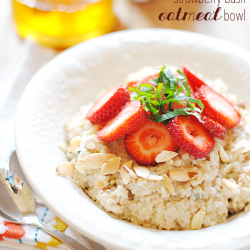 And now that I know how to make them at home (with quinoa – what!! ), I love them even more. Thanks for sharing this recipe; it sounds great! And I’m glad that you are posting about breast cancer this month, as well. It’s definitely been something very near to my heart this year with my mom’s diagnosis, and with the news that it was hereditary (something that’s likely been passed on to my sister’s and I.) It’s definitely made me be more aware of how I live my life. I’m glad your aunt was able to beat it! What a creative use for Quinoa! I love it. What a great message in this post! I baked for a bake sale earlier this month and all of the proceeds went directly to Breast Cancer research. It is nice to make any contribution you can! I am so surprised to read how quick and easy it is to make puffed quinoa! I love incorporating healthy ingredients into treats so you feel good about eating them! Is there any particular type of quinoa you need to use? I can’t wait to try this, thanks! Really enjoyed your post and passion for supporting Breast Cancer. Thank you for taking the time to share it with us! Another note — I love these bars! The crunch of the quinoa is perfect with creamy chocolate! This is such a great post. I just learned something new about quinoa. I love how you used the crunchy grain to give chocolate bars texture. Yum! thanks for posting this recipe. my friend who introduced me to quinoa has a birthday tomorrow, so I will be making these for her, with dark chocolate, of course, to make them extremely healthy.